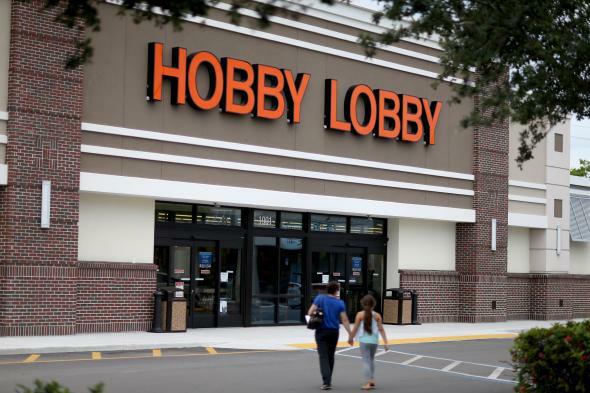 Hobby Lobby agrees to fine and return of thousands of smuggled Iraqi artifacts. A Hobby Lobby store is seen on June 30, 2014 in Plantation, Florida. The Department of Justice announced Wednesday the arts and craft chain store Hobby Lobby has agreed to pay a $3 million fine and return thousands of ancient Mesopotamian artifacts that were smuggled out of Iraq, sold by a dealer in the United Arab Emirates, and shipped to its Oklahoma City offices using fabricated shipping labels. 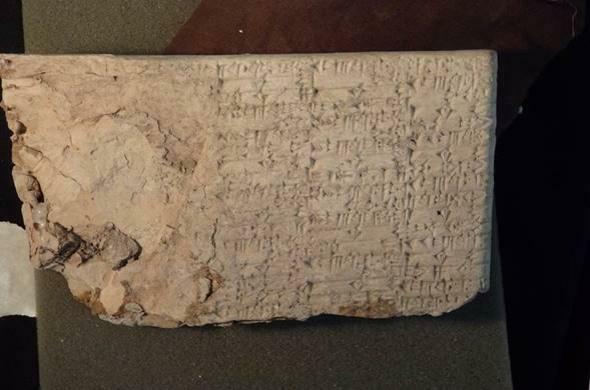 The Oklahoma City-headquartered company orchestrated a dodgy deal for thousands tablets and bricks written in cuneiform, one of the earliest known systems of writing, along with clay bullae and cylinder seals, paying $1.6 in December 2010. The more than 5,500 artifacts were valued at nearly $12 million. Federal prosecutors said the deal was “fraught with red flags,” but Hobby Lobby President Steve Green, who traveled to the Emirates in 2010 to inspect the artifacts, continued to pursue the objects to add the Green family’s collection of historical Biblical pieces. The Hobby Lobby retail chain was started and continues to be owned by the family of company founder David Green. The Green family are outspoken Christians and in June 2014 successfully challenged the Affordable Care Act’s requirement that health insurance providers provide women access to contraception claiming it violated their religious beliefs. The Green family is also bankrolling a new $500 million Museum of the Bible in Washington, D.C.
A cuneiform tablet siezed by the federal government. Hobby Lobby appeared to do very little due diligence on the ancient pieces and, according to prosecutors, the Green family received conflicting information about where the artifacts were stored before arriving in the Emirates, they never communicated with the dealer before viewing the pieces informally, and once agreeing on a price, did not pay the dealer directly, instead wiring more than a million dollars to seven private bank accounts of other individuals. The shipping of the pieces to the company’s headquarters was similarly fishy, according to the DOJ complaint.